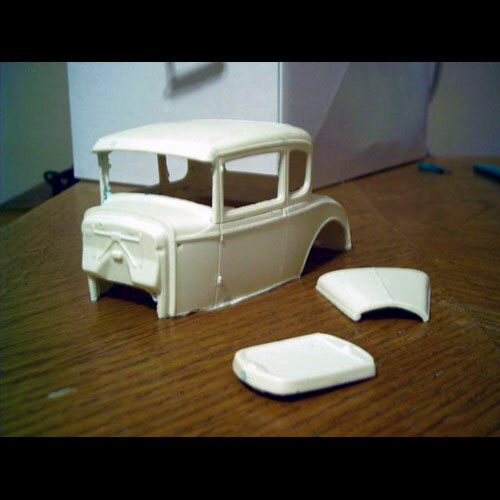 1931 Ford Model A Coupe by Early Years Resin. Includes body, grille shell and hood. The roof has not been chopped, so this would make a good stock replica. A Revell or AMT Hot Rod kit would need to be the donor for parts.